We have an eye for what will look great on each and every customer. We know our product and we love getting to know our customers. This is why we do what we do. We enjoy connecting with our customers one-to-one. We really try learn what makes every customer stand tall and command the room. Once we know you, we will think of YOU on our buying trips for the brands, price point and style that suits YOU best. 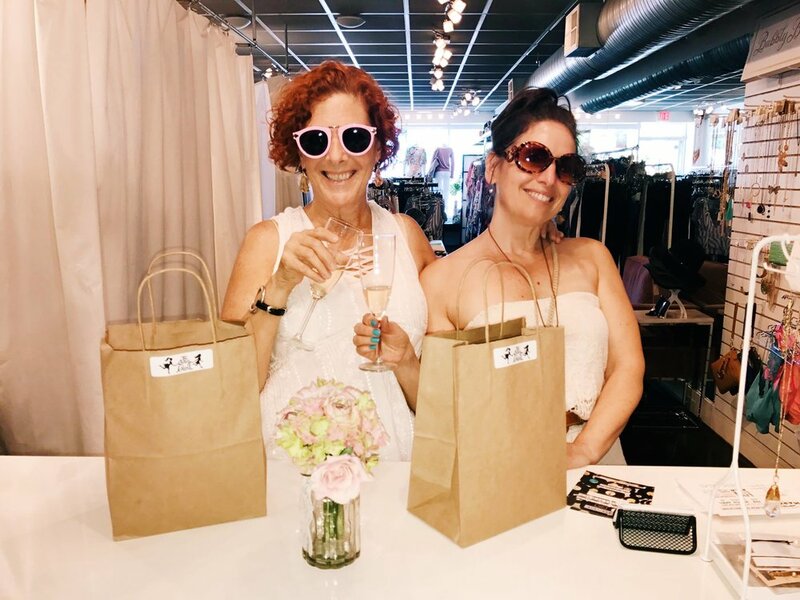 It’s exciting for us to get to know you – and exciting for our shoppers to come to an event or to our boutique and find something perfect every time. Plan a party or event with us. Rolling Cabana events are hosted in our boutique, in private homes, country clubs, charity events, spas, salons and other locations. The shops “pop-up” around town in fun, more intimate settings allowing you to shop and mingle with friends. What can you expect if you attend a Rolling Cabana event? No pressure. Just fun with friends and a chance to shop and relax! Learn more about our events and parties and how to book one here!